Hunts Reserve - Master on main floor, new granite countertops, first floor hardwoods, new carpet, updated fixtures, tons of storage, professionally landscaped, walk-out daylight unfinished basement to private backyard paver patio, Chapel Hill Schools but low county taxes, 5 minutes to UNC, 5,000 combined sq feet. MLS#2244874. 48. The Oaks - Convenient to I-40, RTP, and RDU. Warranty. MLS#2244908. 64. 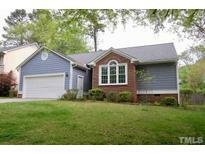 Coker Hills West - Don't miss, it won't last long! MLS#2245034. 136. Close to UNC,RTP,RDU and Duke. MLS#2244957. 3506. Located within minutes of UNC, Duke and I-40! Don't Miss Out! MLS#2244486. 64. 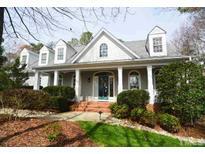 Northwood - Get the benefit of CH schools in a location with convenient access to UNC, Duke, and I-40 for RTP! MLS#2243796. 350. Briar Chapel - Attached 2 car garage is accessed through the alleyway. 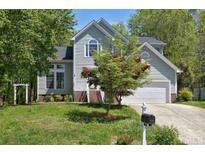 MLS#2244342. 81. 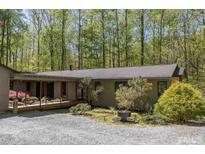 Wolfs Pond - Home also features fire pit, large deck. Amazing opportunity! MLS#2244890. 2731. Briar Chapel - All systems are less than 5 years old. MLS#2245107. 4631. Briar Chapel - Close to all neighborhood schools and Great Meadow Park! MLS#2244997. 2731. Briar Chapel - Featuring hardwood floors on the main level, as well as plantation shutters throughout the interior (even the screened outdoor living space), this house maintains the level of refinement found in many custom-built homes. MLS#2244905. 81. 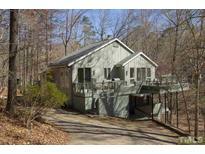 Colony Lake - Easy access to UNC, Duke, Durham, and I40. MLS#2245000. 318. Twin Streams - Sit on your back deck and enjoy nature and the beauty all around. 20 min. to UNC. MLS#2244975. 4828. Governors Club - Tremendous value for this level of construction quality and finish. MLS#2244792. 4655. Stately all brick home on an extremely private lot in Chesley * The cul-de-sac lot offers a level back yard with a stone patio & firepit, an outdoor cooking station, & space for gardening * The chef's kitchen has double ovens a Thermador gas cooktop, island, custom cabinets with dovetail drawers & spacious bar seating * Master bedroom features a sitting room & a romantic fireplace * Surround sound system * Vaulted ceilings are in the foyer & living room * Walking/biking distance to East Chapel Hill HS MLS#2244654. 4084. Hundred Oaks - Lush cul-de-sac lot. Mins to UNC. MLS#2244840. 3048. Heritage Hills residents can enjoy the popular pool & tennis club, the convenience of being close to Chapel Hill, but the benefit of lower taxes. MLS#2244831. 136. Governors Club - Grand two level foyer includes second level library and main level salon and bar open to gourmet kitchen, dining and media rooms. MLS#2244626. 4655. 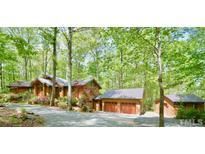 Sun Forest - Finished lower level with large recreation room, media room and wine cellar. MLS#2244471. 64. Enjoy Time with Family & Friends in this Quality Built Dixon-Kirby Home in Desirable Meadowmont*All Brick 5 Bedroom 4.5 bath*Open Floor Plan – Kitchen-Breakfast & Family Room*Double Sided Fireplace*Spacious Dining Room*Office 1st Floor*Screened-in-Porch Plus Open Deck*Spacious Master Bedroom w/Spa-like bath* Lower Level Recreation Room, Guest Bedroom & bath, Plus Tons of Storage*Large Fenced Flat Back Yard*3 Car Garage*Walk to Rashkis Elementary, Harris Teeter, Playgrounds, Parks* MLS#2240491. 64. Windfall - Finished basement / Recreation Room & Bedroom with own bath! MLS#2244620. 2989. Westhampton - Live in One of the Finest Homes in CH, only 6 miles from UNC Hospital*Double 7' Mahogany Doors Welcome You*Open Floor Plan w/Oversized Kitchen Island w/Seating for 5, Coffered Ceiling, Built-in Top Quality Appliances*Spacious Family Room Fireplace Flanked by Bookshelves*Open to Covered Porch w/Fireplace Overlooking Peaceful Private Yard*Master Bedroom 1st floor*2nd Guest Bedroom/Office on 1st floor*4 Bedroom Up + Bonus*Tons of Storage Walk-in Storage on 2nd FL & Walk-up Attic*CH Schools/County Taxes* MLS#2244547. 64. The Preserve At Jordan Lake - Suite can also be used for Private Guest/Family Occupancy. Former Parade Home. MLS#2244477. 1276.